Every Chinese New Year, The Most Looking Forward Not Only Shopping , Cleaning & Giving Ang Pao Right? As a Social Media Influencer is to watch all Chinese New Year Short Video by Various Brands / Company! 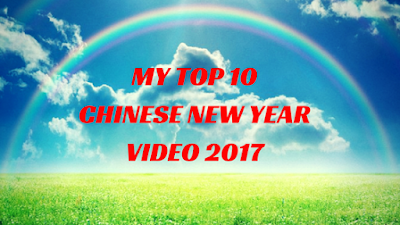 Let Me Share You My Top 10 Chinese New Year Video 2017!! Very cute but the last line and last scene makes it even more touching! but for this family is a confirmation! Traditions have always been a part of molding the foundations of our values. For these are the virtues that bonds and strengthen family ties. This year of the Rooster let us all come together to remember tradition while looking forward to creating new memories. A nice heart warming tale of a girl and his grand father. Though comes with lots of products placement, but it’s pretty cute and nice. 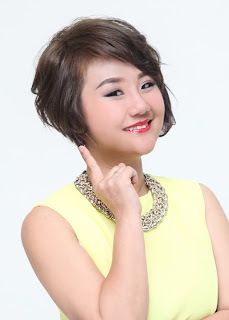 Popular dancers Rejuvenate Dance Crew (RJVN) turned a catchy song into CNY themed dance steps. Rejuvenate Dance Crew (RJVN) went to all My Favorite Shopping Malls and dance! Klang Parade, Citta Mall! I like it SO Colorful & Cheeky! Chinese New Year never a time to lose weight!! So Me La! I am not going to lose weight and having my feast for this Chinese Year! Heart warming tale of a kid and his grandmother and He is Planting Grandmother's black hair!! Finding Sister Thru Social Media! I like the nice costume for each of the characters , nice graphics and storyline !! I want to be one of the KungFu Women so that I can cook without Any Stove / Gas! Hope You Enjoy Watching Chinese New Year Video 2017! Share With You More Chinese New Year Video that No Here!